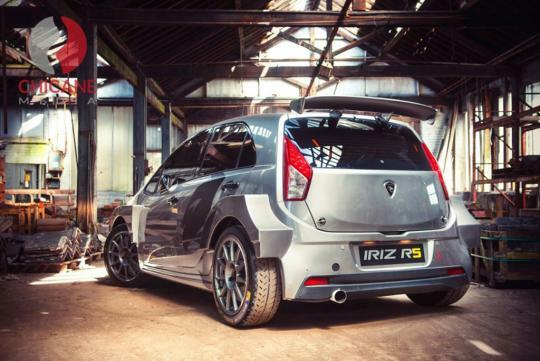 With the help of british company Mellors Elliot Motorsport (MEM), Proton will return to the World Rally Championship (WRC) in 2018 with its race-prepped Iriz R5. MEM has previously helped Proton prep its cars for rallying and rallying fans will remember the Satria Neo S2000 competing in the Super 2000 World Rally Championship (SWRC) and the Asia-Pacific Rally Championship in the late 2000s. The new car is set to race in both WRC2 and the Asia-Pacific Rally Championship. It will be powered by a turbocharged 2.0-litre Mitsubishi Lancer Evolution X engine that is downsized to 1.6-litre and is claimed to be even stronger in this form. The engine will be paired to a Xtrac transmission and will have other goodies like Brembo brakes and Reiger dampers. According to MEM, the Iriz is 'perfect for rallying' with the car being shorter than the satria while having a longer wheelbase. The new car also lots of frontal area which aids cooling and its strut tops are perfectly placed. Is it a Mitsubishi Colt in disguise? I like it. A bit divided on the rear wheel arch shapes but overall, i think it looks good.